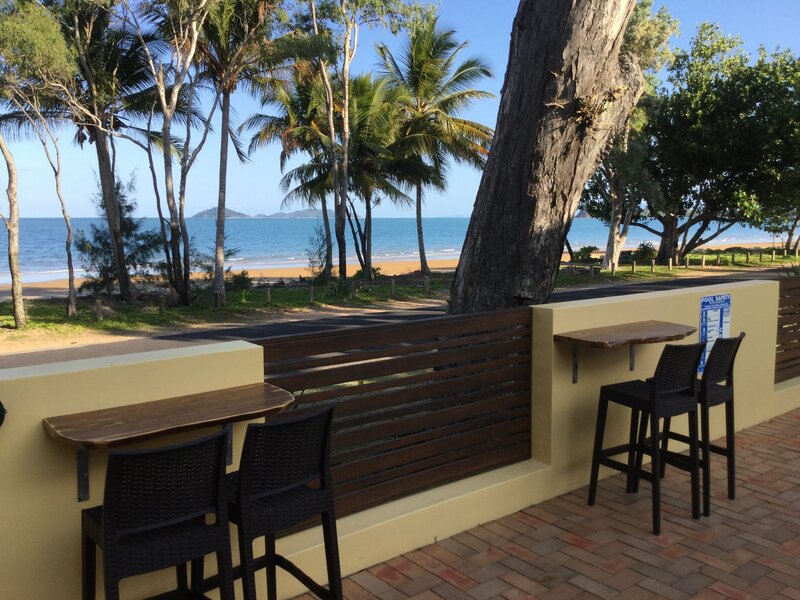 Taihoa Holiday Units, locally owned and run, is a small beachfront complex in South Mission Beach with magnificent views of Dunk Island, Bedarra Island and the Coral Sea from your doorstep. 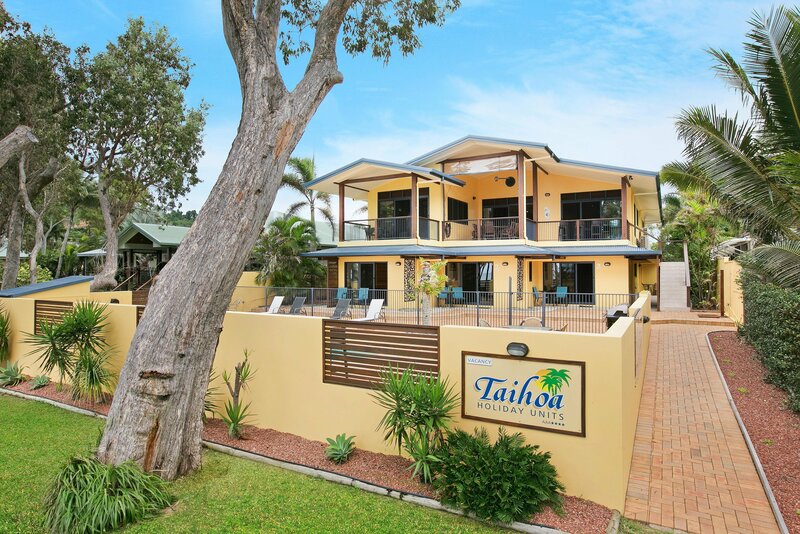 Designed as child-free (18+ only) environment, Taihoa Holiday Units is ideal for a romantic get-away, quiet retreat or tropical holiday. 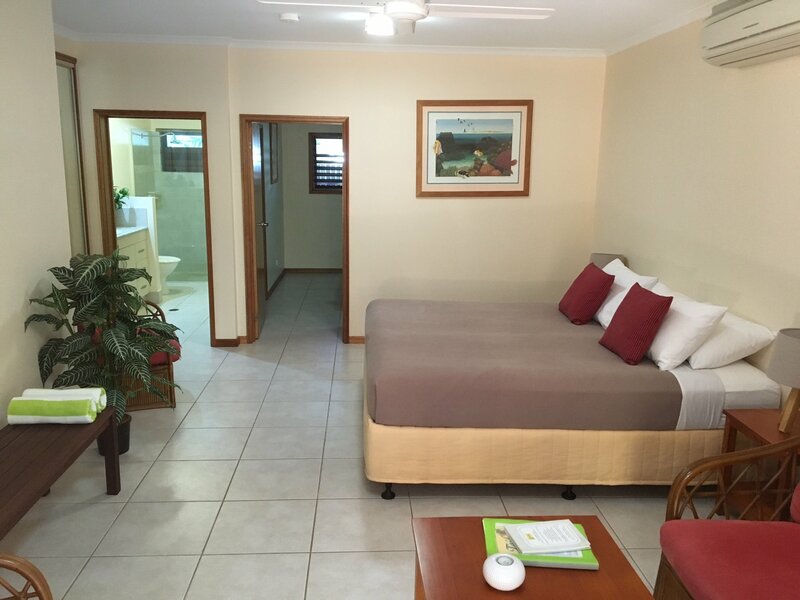 Each spacious unit is self-contained and comfortably sleeps two adults on either king or single beds. 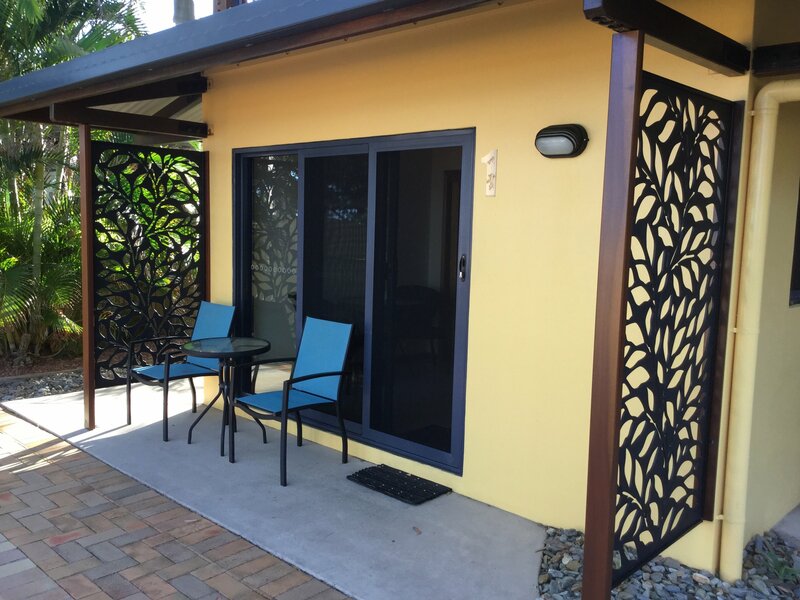 As a child-free zone, Taihoa Holiday Units cater to those adults looking for a peaceful and relaxing time away from home. Designed and furnished with the tropics and your comfort in mind, you'll find each unit has it's own special personality. 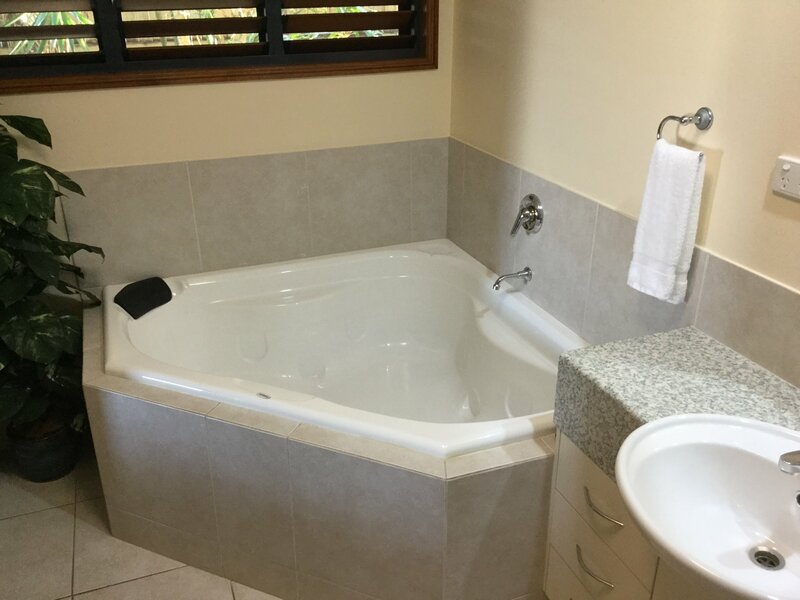 Accented with natural timber, neutral colour floor tiles and walls, your room will be a cool and welcoming place to return to after a walk on the beach or a day out exploring the amazing Cassowary Coast offerings. 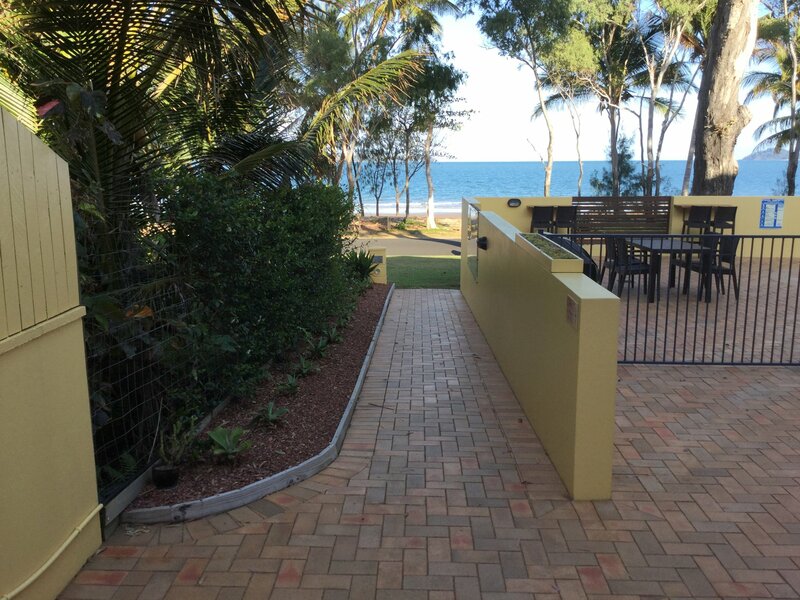 Situated beach front at the southern end of over 14 kilometres of beautiful white sand beach that stretches unencumbered along the Coral Sea, South Mission is a quiet, tranquil area where you will hear the lapping of the water on the beach as you fall asleep at night and birdsong outside your window as you wake. 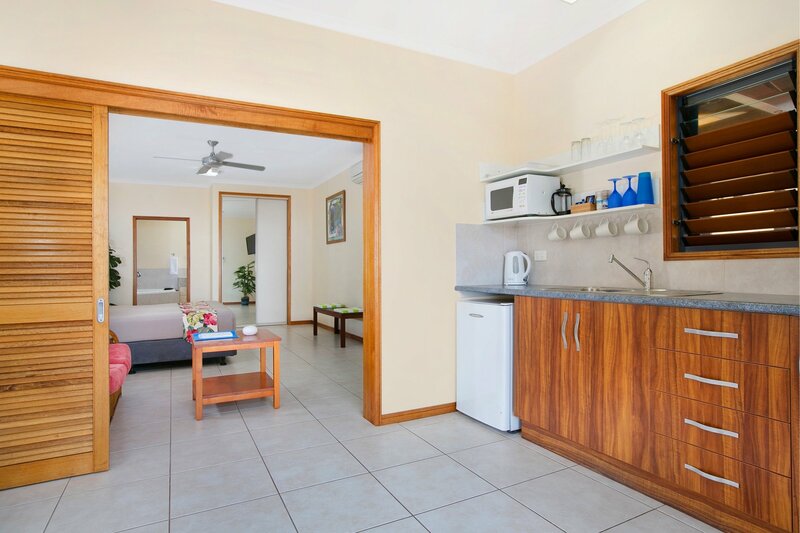 Fully air-conditioned with ceiling fans, each unit is comfortably furnished and fully supplied. 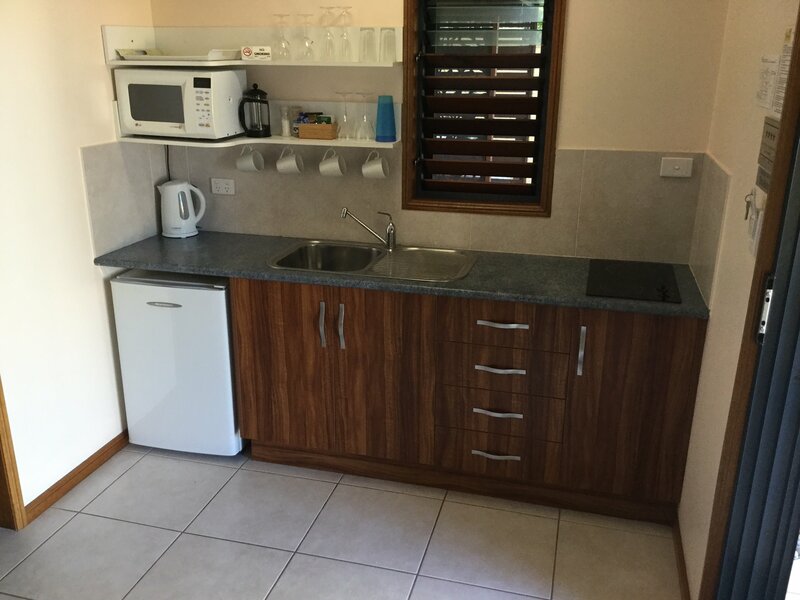 Separated from your living area by timber sliders, a fully equipped kitchenette has all you'll need for preparing breakfast, lunch or a BBQ alongside the large in-ground swimming pool. Comfy King Bed. 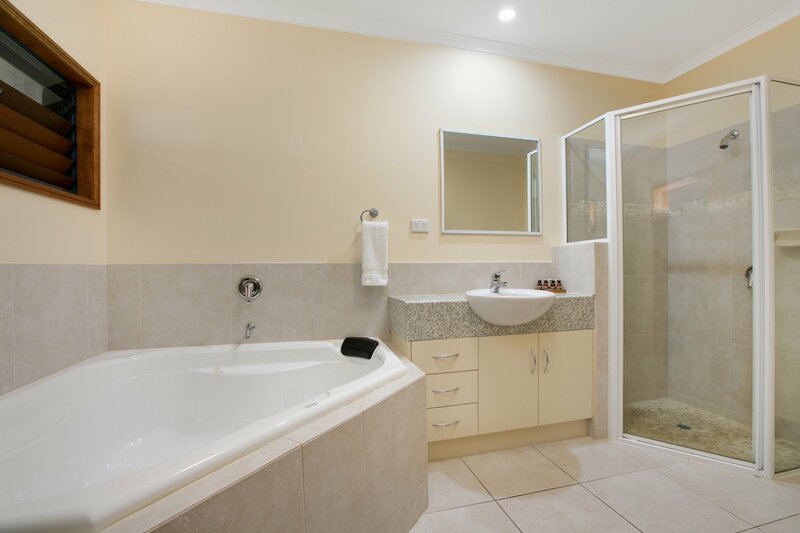 Corner bath and separate shower. .King Bed can be split into two extra large singles. 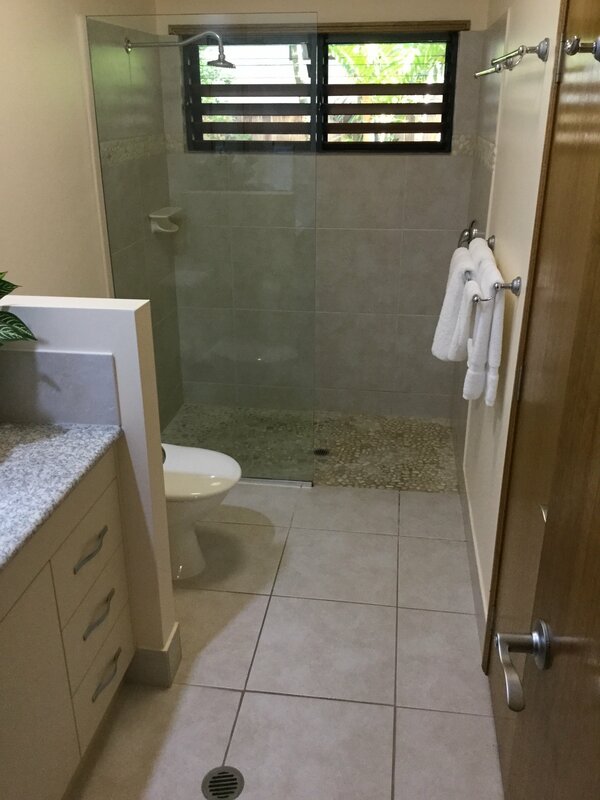 Large walk in shower. King Bed can be split into two extra large singles. Large walk in shower. Comfy King Bed. Corner shower. 2 King Beds. Separate Bedroom with King Bed. Front King Bed can be split into two Extra Large Singles. 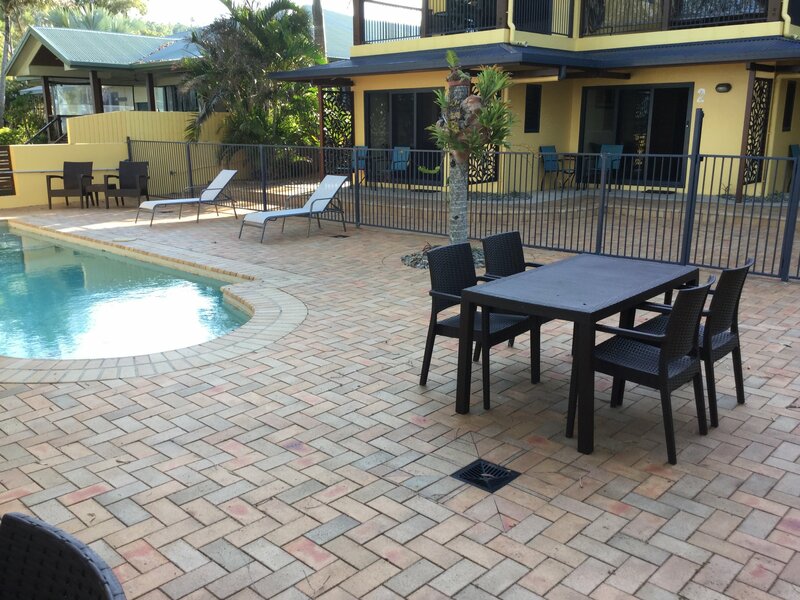 Free Wi-Fi in Units and pool area. Premises are available from 2.00 pm on the day of your arrival ( earlier by prior arrangement if possible ) and are to be vacated by 10.00 am on the day of your departure. If office unattended please leave keys in Unit. 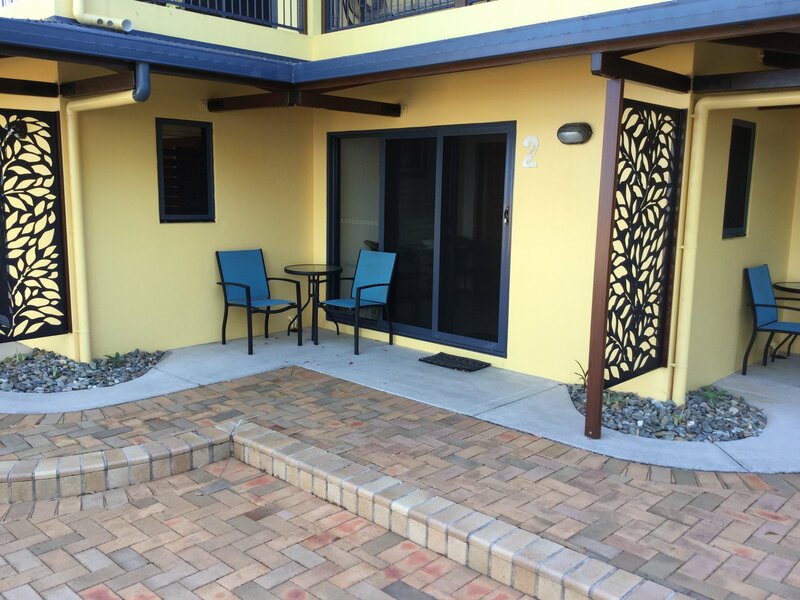 Taihoa Holiday Units were designed to cater for adults only, as such we do not accommodate anyone under the age of 18 years. 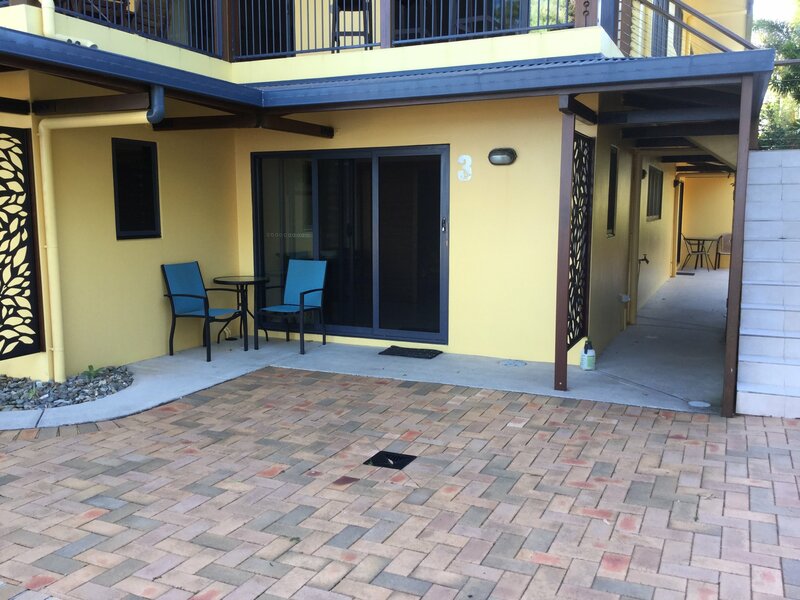 Units 1, 2, & 3 are limited to a total of 2 guests per unit. 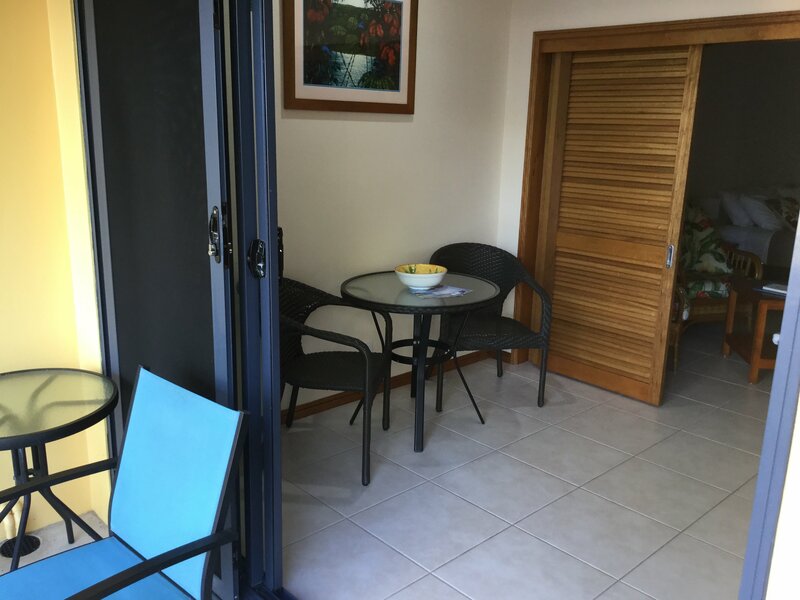 Unit 4 can accommodate up to 4 guests. 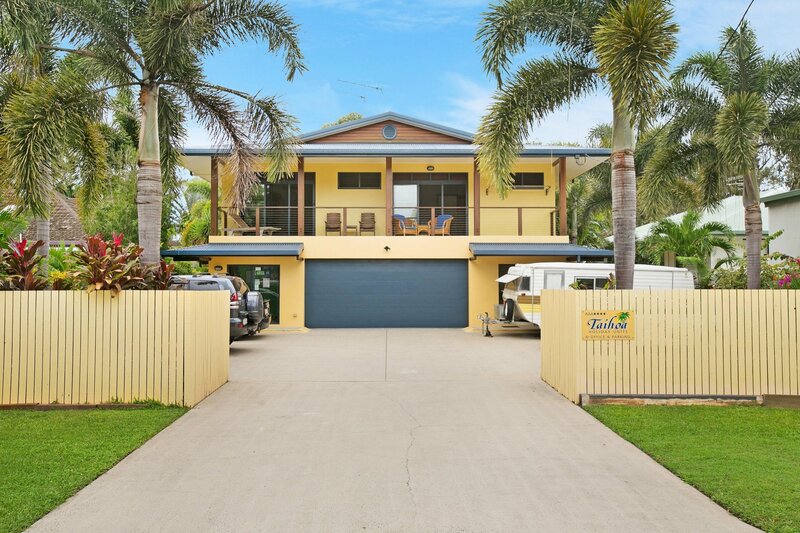 Allow just under 2 hours to drive from Cairns Airport and about 3 hours from Townsville Airport. The drive takes you through rich cane fields, banana plantations and historic townships. There are detours you can take to waterfalls and swimming holes from either direction. Travelling south from Cairns, head for Innisfail. 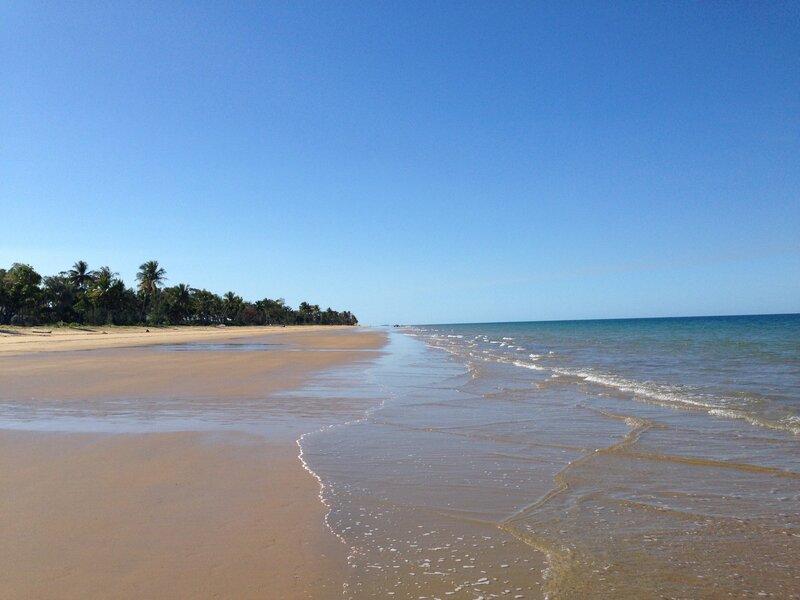 South Mission Beach is about 40 minutes south of Innisfail. Turn left off the Bruce Highway at the WW1 soldier settlement town of El Arish. Follow all signs to South Mission Beach. Travelling north from Townsville, turn right off the Bruce Highway at the sugar mill town of Tully ----- one of the wettest towns in Australia. Follow all signs to South Mission Beach which is about 20 minutes from Tully. After a restful night's sleep and a morning walk or jog along the beach, you'll probably be in the mood for a bit of exploring. South Mission, the most picturesque of the beachside communities in Mission Beach offers a range of things to do moments from your unit's front door. 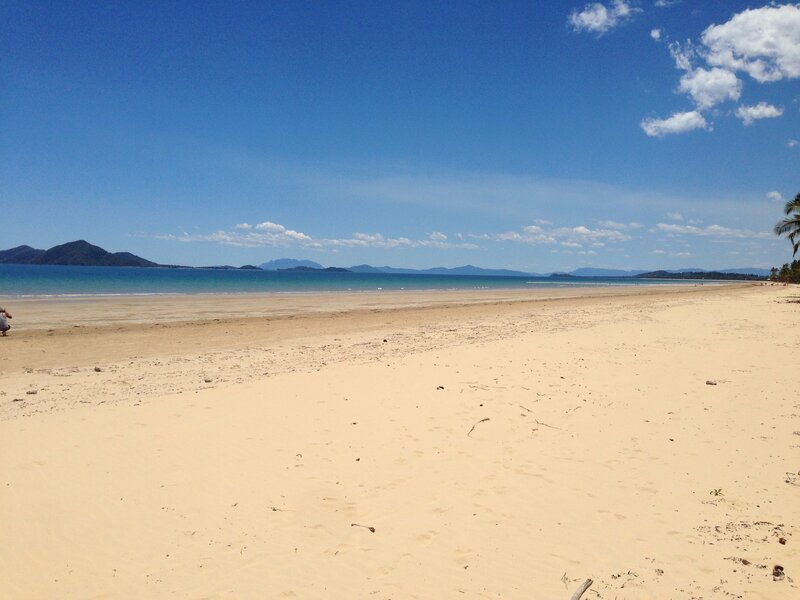 As well as walks along the beach you can take a walk on the Kennedy Track to Lugger Bay and Tam-O-Shanter point, hire a range of watercraft, sailboats, tinnies, and kayaks to enjoy in the beautiful blue Coral Sea, launch a boat at one of two nearby boat ramps - the Hull River or the south end of the beach, and if you're lucky you'll see one of our resident Cassowary nearby. If you're looking for a meal out, Mission Thai (B.Y.O) is in South Mission and there are many other restaurants and cafes only ten to fifteen minutes drive. At the north end of the beach you'll find the a caravan park offering a small shop for a newspaper or jug of milk as well as café style, eat-in or take away meals. Five minutes drive is the Wongaling Beach shopping area, covering all your basics needs with a grocery store, chemist, news agency, liquor store and your choice of excellent eateries. Another five minutes north, you'll find North Mission, a collection of boutique shops, artist galleries, cafés and restaurants, as well as another grocery store and the Post Shop. On most Sundays you can browse through our local market, filled with fresh produce, potted plants and local arts and crafts. 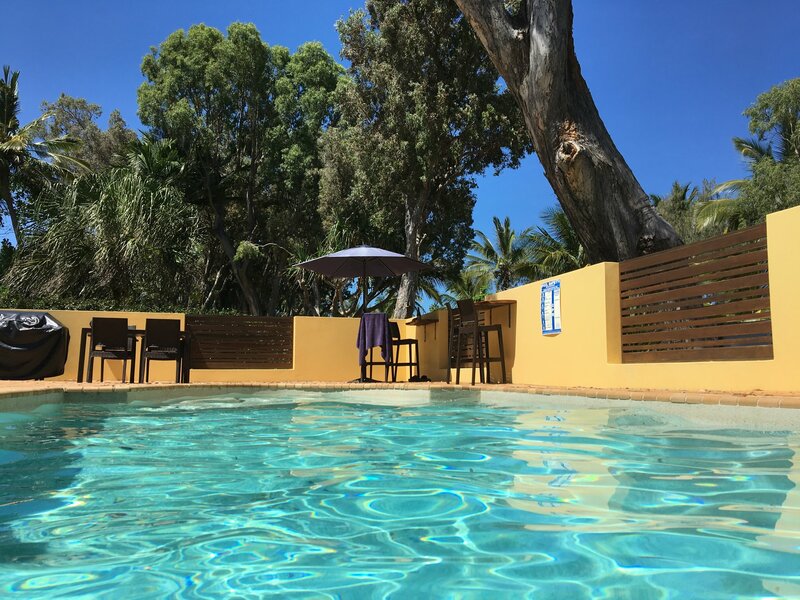 With the range and choice of shops and eateries close by, you'll find you won't have to travel far to meet all the needs of a relaxing beachside holiday. 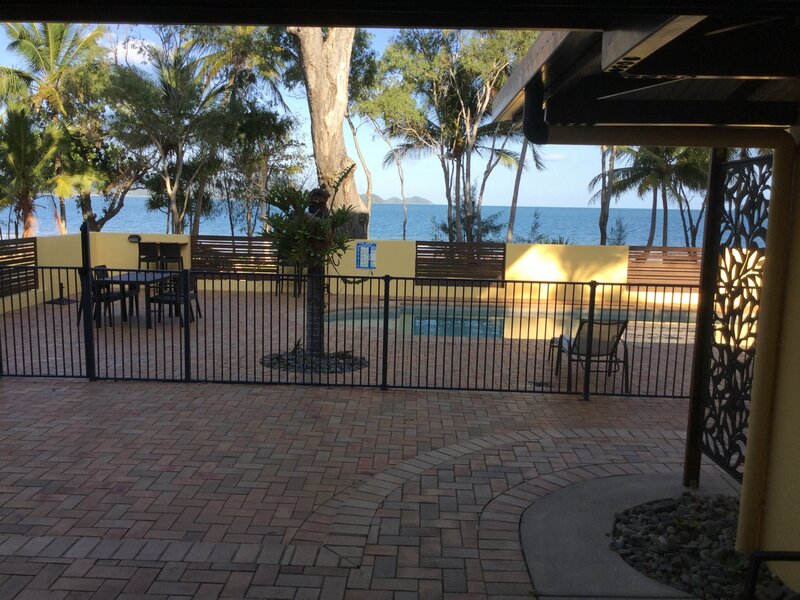 If you're looking for a bit more excitement either skydiving with a landing on the beach, white water rafting, jet ski to Dunk Island, snorkeling on the Great Barrier Reef you'll find that here too. 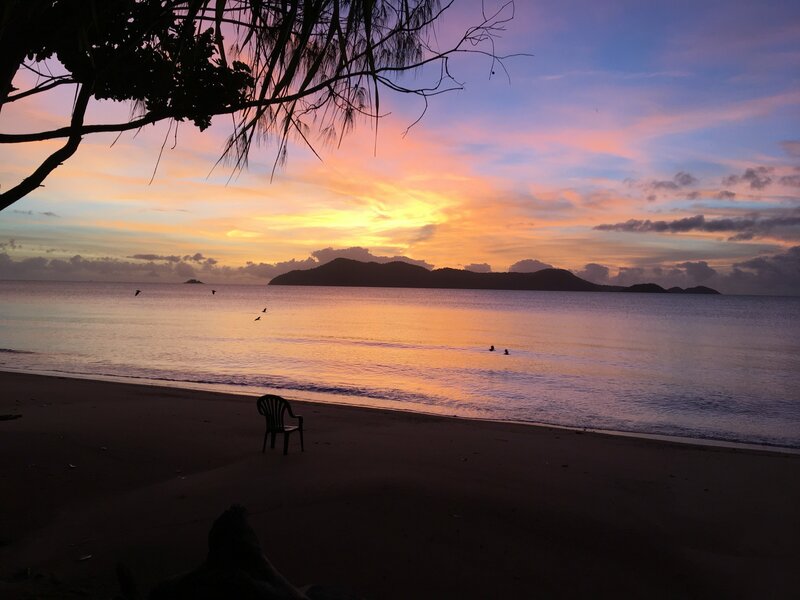 We have guided tours and activities, exploring the Great Barrier Reef, visiting Dunk Island or walking through our beautiful World Heritage Rainforest is also close at hand.